Because I Need All The Help I Can Get Living With Four Pets! This is a sponsored post of behalf of Bissell Canada for the Bissell Crosswave Pet Pro – Multi Surface Wet-Vac. I only share information on products that I would use for myself, my pets, or believe would be of interest to my readers. Opinions are mine and do not necessarily reflect those of Bissell Canada. I believe life is about spending time doing what’s really important – spending time with my family and my pets, not always cleaning up after them! But when Bissell Canada sent me the Bissell Crosswave Pet Pro – Multi Surface Wet-Vac to put to the test, I was super excited! With the Bissell Crosswave Pet Pro – Multi Surface Wet-Vac, I can vacuum my hardwood flooring and carpets as they are being cleaned. No more dragging around a mop and bucket – I’m sold! My first challenge for the Bissell Crosswave Pet Pro – my bedroom! Like many pet parents, I share my bedroom with my pets. My two pugs, Edie and Edna, sleep in our bedroom. Our cats, well, our cats sleep where ever they want, but many times they can be found at the foot of our bed. The flooring in my bedroom is hardwood, with area rugs on either side of the bed and in front of each dog crate. First test was the hardwood flooring. The Bissell Crosswave Pet Pro not only washed my hardwood floors leaving them clean and shiny, it vacuumed up any dust bunnies, dog and cat hair along the way. With a simple flick of a button I was easily able to transition from the hardwood flooring to my area rugs. The carpets came up noticeably cleaner and fresher, no more doggy smell. Pets with Long Hair – No Problem! The Bissell Crosswave Pet Pro Picks up Hair up to 8 Inches Long! The Bissell Crosswave Pet Pro promises to pick up hair up to 8 inches long, my dogs may not have long hair, but my cat does! Will the Bissell Crosswave Pet Pro stand up to this cat’s long hair? Ok Bissell Crosswave Pet Pro, how well did you stand up to my cat’s long hair? Well, as is evident in this embarrassing photo, the Bissell Crosswave Pet Pro had no problem vacuuming and cleaning my carpets of long cat hair! Whether you share your home with one pet or multiple pets like I do, the Bissell Crosswave Pet Pro with it’s multi purpose functions can help make cleaning your home easier and give you time to do what’s really important- enjoy your summer outside with your family and pets. 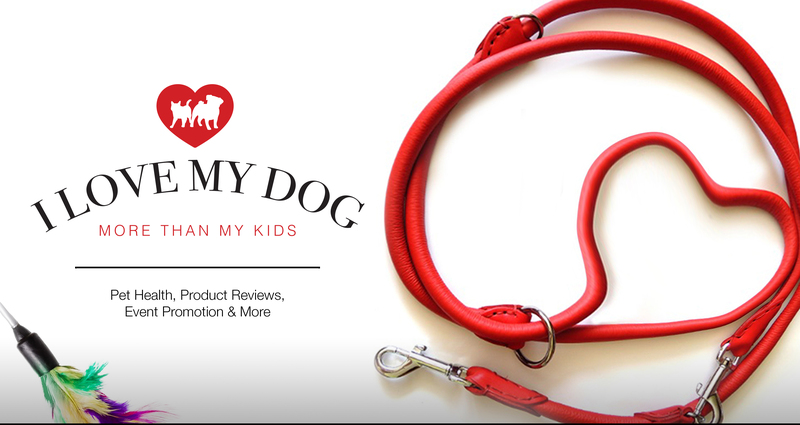 Great product and so necessary with kids or dogs and cats or all three! Wow! I’d be definitely embarrassed to show the amount of fur in my carpet from my two Persians. This may be a vacuum I need to consider. We have mainly hardwood floors and rugs but you wouldn’t believe how much hair Kilo the Pug sheds each day (well I guess you would know with 2 pugs LOL). We get black hair everywhere and could almost make another pug each time we clean. I’d like to try one of these. Whoa! I need this – and good up to fur 8″ long? That is perfect with Huskies! Thanks for the great review…I may just add this to my Christmas list! I so agree, I don’t want to spend my time cleaning either! Thanks for the info I’m always looking for a good vacuum cleaner. We have 4 dogs and 3 cats so we really need it! Wow! 4 dogs and 3 cats and here I thought having 2 of each was a lot of fluff and muddy paws to clean up 🙂 I bet you would really benefit from a Bissell Crosswave Pet Pro. I need one of these!! Thanks for sharing such a great review. I”m planning on moving soon, and this will be on my shopping list. Our hoover is full of cat fur, I need one of these!! What a great review I am so jealous. Bissell are such an innovative company aren’t they. Bissell has a wonderful line of products with pets and pet parents in mind! This looks awesome. Does it wash the rugs or just vacuum? I have a steam mop that works ok on my tile, but I have to rent a rug washer, to have an all in one would be great. Both! That’s what’s so awesome about the Bissell Crosswave Pet Pro! It not only vacuums my carpets, area rugs, and hardwood flooring, but it cleans them as well – two in one! Sounds like a dream machine! Most of my floors are hardwood and look pretty good, but kitchen floor (also wood) always needs to be mopped. We have a lot of hardwood flooring as well, the Bissell Crosswave Pet Pro makes it easier than having to fill and lug a bucket and mop around. I can totally relate – I face the same challenges with a Siberian Husky in the house! She sheds enough for 3 dogs LOL! I love this vacuum, I could really use one of these. Thanks for sharing. Ok, I need this too (and might be calling them). I live for my Bissell carpet cleaner which I drag upstairs to my office about every other day because my senior dog pees a lot. Can’t live without it. The Bissell Crosswave has been wonderful with a puppy! I’m sure you will find it well worth it with a senior dog too. I can relate but thankfully I don’t mind vacuuming. Sounds like it does a great job, something to consider when it’s time for another vacuum but for now I’m loving my Dyson!! I’ve had such bad luck with vacuum cleaners in the past, I’m always weary of getting a new one. It wasn’t such a big deal when I had only my papillon, as he doesn’t shed much at all, but my Alaskan Klee Kai is a shedding machine. I’ve used really high rated vacuums in the past and had them break on me really quickly. I’ve never tried Bissell though – maybe something to look into when I’m in the market for a new one again. It’s a constant battle with dog hair at home, and my wife and I only have a generic vacuum cleaner. We’ll have to look into this Bissell Crosswave Pet Pro. I know just what you mean! Living with 2 dogs and 2 cats I am constantly vacuuming and cleaning. The Bissell Crosswave Pet Pro does a great job getting up that long cat hair and cleaning the floors and carpeting at the same time!